How much is Karamo Brown Worth? Karamo Brown net worth and salary: Karamo Brown is an American television host and reality television personality who has a net worth of $3 million. Karamo Brown was born in Houston, Texas in November 1980. From 2004 to 2005 he starred on the reality TV series The Real World: Philadelphia on MTV. Brown was also a contestant on the reality series Real World/Road Rules Challenge in 2005. From 2014 to 2016 he was featured on the television series Dr. Drew on Call. In 2018 he started starring on the Netflix TV series Queer Eye. Brown has also appeared in episodes of the TV series The DL Chronicles, Bethenny, Where the Bears Are!, Huffpost Live, Steam Room Stories, Love & Hip Hop: Hollywood, Access Hollywood Live, The Next: 15, Are You the One: Second Chances, and more. 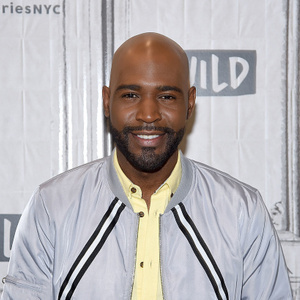 Karamo Brown also appeared in the short Lean in 2014 and in the film Visible: The LGBTQ Caribbean Diaspora in 2018.